An Utterly Exacerbated History of Modern Britain by John O’Farrel- Not the shortest title in the world but an amazing book. It did such a good job of making history interesting, understandable and funny – not an easy feat! I feel like I know so much more now. I recommend this to anyone who wants an accessible introduction to modern British history. Figment– This is a graphic novel based on my favourite Disney World character, Figment, so there was no way that I wasn’t going to enjoy this. The artwork is done by Marvel and it’s stunning and the story is cute too. Bring on October when I get to see this guy at Walt Disney World. Sourcery by Terry Pratchett- I’m on book six of the Discworld series and I’m so glad I didn’t give up on it because these books just keep getting better. I love Rincewind and luggage! This Old Thing by Dawn O’Porter- This book was linked to a series that was on TV a couple of years ago so I wasn’t expecting much, bit it’s actually really good. A great overview on vintage styling through the decades, basic vintage upkeep and much more. Dawn has a great personable way of writing which really makes this book; her passion for clothes really comes through. The Lake District– Harry’s niece had her Christening this month so I visited his family home, and met a lot of his family I hadn’t previously. I got cheap first class train tickets for the journey north too, total score! The Ice Bar again- Remember my trip to the Ice Bar when I first moved to London? Well I went back with a couple of visiting friends, it was just as much fun the second time around. Madam Tussauds Wax Works– Much more touristy than I would normally go for, but with good friends it was a lot of fun! The new Star Wars area is a great photo opportunity if you don’t mind battling the crowds. Bath- Well sort of, Harry’s Nan lives nearby and I drove through the night to get there for the morning of his 30th Birthday. Leaving a festival at 2am for a 4-hour drive in the pouring rain seemed like a good idea at the time… We got there safe through and it was really nice spending the time there with his family. Hopefully, next time I visit we can see more of the area. Cleansed at The National Theatre- As a Sarah Kane fan I was excited about this, but left feeling disappointed. Despite the violence and shock value, I actually found myself becoming bored. Also, the design of this particular stage is appalling! I had to stand up and move if I wanted to see more than 1/4 of the stage, and this was the case for most of the audience not on ground level. A Drag Queen photography exhibition- Which I have since forgotten the name of unfortunately. The images were fascinating though, it’s truly an art form. Boris Johnson– Yes that’s right. I saw him giving his final public speech as London Mayor at The Old Vic. I don’t agree with all his politics but he is an amazing public speaker, and genuinely funny. England Football team play at Wembley Stadium– This is a big one ticked off the bucket list! Ping Pong at Bounce- Bounce is a bar full of ping pong tables that you hire out by the hour, I went for a work social and it was so much fun! I was awful but luckily no one was taking it too seriously. Magic Kingdoms– This Disney parks game is finally out and I am addicted to it of course, are you playing? Let me know so I’m not the only one. With balloons- Yes you read that right! At a Yelp event I had a go at balloon modelling. I was so, so bad I couldn’t even tie the knots in them! I’m glad I had a go though, and I learnt a few things. Featured on North East Nerd- Fiona very sweetly featured my Honest OOTD post in her monthly round-up. Finding new unique shops- One of my favourite things to do is take a random street in London and see what’s around, there’s some real gems! Hopefully I can do more of this as it gets warmer. Painting- At the Paint Jam event held by Yelp I painted for the first time since I was a kid, I wasn’t very good but I really enjoyed it! Booking a holiday to NYC– I got Harry a holiday for us both for his 30th Birthday, it’s the first time for both of us so I’m so excited but it’s not til November, so we have a while to wait. Buying tickets to No man’s Land– Not until September so it’s another one I have a while to wait for, but I’m sure it will be worth it to see Patrick Stewart and Ian McKellen in action. Getting a major role for Pride 2016– I passed the interview so I can now tell you I am going to be volunteering as Parade Section Supervisor this year. It’s a huge step up from what I usually do and I’m looking forward to getting started in the next couple of weeks. Using the Drinki app- Seriously this app is amazing (they’re not sponsoring me or anything, I’d always say if they were, it’s just actually amazing). Basically you go onto the app, find a bar that lists a free drink on any given day, show them the app at that bar, check in on Facebook, and you get a free cocktail. It’s as simple as that! If you sign up with my code K7U5 you can get tokens to unlock more free drinks (again everyone has access to this, not just me). Getting angry at stupid products- really make it stop! 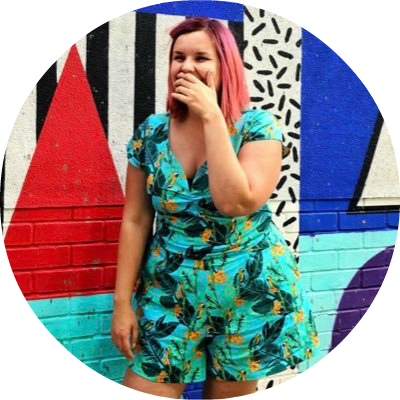 Hitting 600 Bloglovin Followers– I’m so happy to have hit this milestone! Sharing one of my favourite Disney and vintage inspired shops– Such a great, unique place to shop! DF Mexico– I had a bad experience here in February so they offered myself and my sister a return meal. Unfortunately, although the service was better, the food wasn’t. Sunday Roast at The Ship Tavern– Click the link for my full review, the venue is absolutely beautiful. BBQ at Duke’s Brew and Que- On my gosh so much delicious food! We got the sharing platter which I would definitely recommend if you don’t know what to choose, but come hungry. Burgers at The Rainforest Cafe- The food is overpriced, but let’s face it you’re here for the environment more than the food. The US restaurants are definitely better than the London counterpart, which could do with an update. Yo Sushi for the Babymetal Album Launch- Babymetal have some damn catchy songs so I was really happy when Milly asked me to be her plus one. I’m not a big fish person so I had been put off Yo Sushi before, but oh my god I was so wrong, their new menu is so good and I didn’t try one thing I didn’t like! I’ll definitely be back soon. Louisa at the Every Hotel event– They were really good at preparing Louisa a last minute vegan meal. Kudos to them. Harry’s Family- For both his birthday, and the family christening. It was really nice, and I got to meet a lot of his family that I hadn’t previously. Old Work Friends- Two of my old work friends came down to London to visit me which was really sweet of them, we did lots of touristy stuff which was fun! The Mean Girls– It was my friend Jay’s birthday so we hit Soho with a Mean Girls theme. My Yorkshire goth buddies at the last ever Resistanz festival– So, so sad to see this go, I was there for the first and last festival. It’s been an amazing six years and I’m going to be at a loss for what to do with my Easter weekends now!